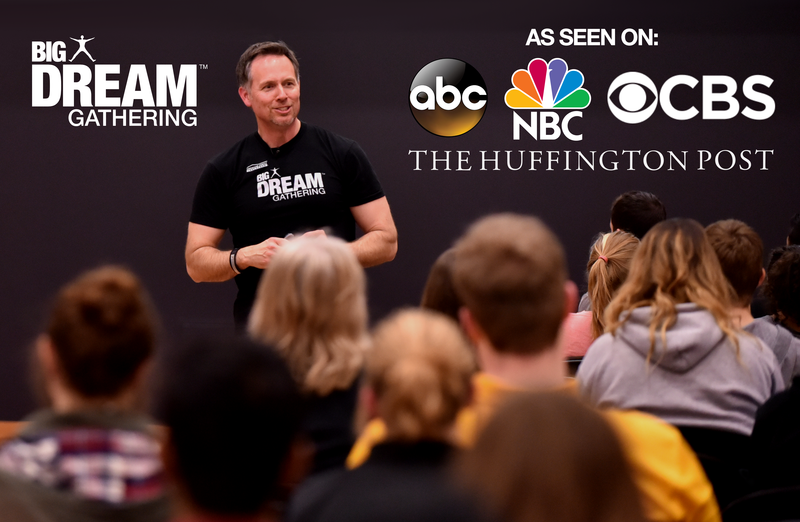 Since its start in 2006, the BIG Dream Gathering has inspired countless people to dream, plan and connect!Now, Mitch Matthews (The BDG Co-Founder) and his “Dream Team” travel the country to bring these inspiring events to top college campuses and communities, meeting with people walking out dreams… big and small. Check out some of our favorite BIG Dream Gathering stories below! The back story is in 2006, one of Mitch’s big dreams was on the ropes and he was about to give up. As a last ditch effort… he decided to host something he called a “BIG Dream Gathering” at his home.It was an opportunity for friends to come and write down their dreams and goals, and then post them on the walls of his family home. Next everyone could read all the dreams and see if they could help with encouragement, connections or support. It was supposed to go for a few hours… but it wound up lasting a full week! And as a result… all sorts of dreams were launched. Everything from helping kids in Africa to a couple of dreamers scoring a contract with NIKE! These BIG Dream Gatherings have continued and Mitch and his Dream Team have seen this revolution take off with countless dreams reawakened and incredible connections made. To find out more about the BIG Dream Gathering, visit: BIGDreamGathering.com. To follow along with the adventures and to help inspire YOUR dreams, join Mitch and the BDG team on Facebook by clicking here. Would you like to connect with mitch matthews?